The island of Crete in the past two thousand years has changed hands many times over. 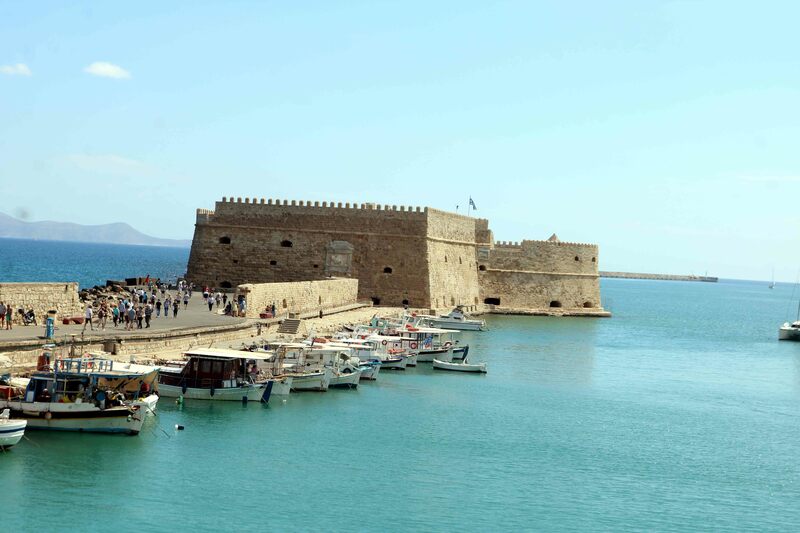 The Romans arrived in Crete as mediators in 67 BC and settled here as conquerors. After three years of fighting, Crete became a Roman province and enjoyed a period of prosperity. During this period it is believed that Bishop Titus converted the population to Christianity by order of the Apostle Paul. In 285 AD, with the division of Roman Empire into Roman and Byzantine Empires, Crete came under the Byzantine Empire. From 824 to 961 AD Crete was occupied by the Arabs. After a struggle lasting for many years, Byzantines succeeded in freeing Crete from the Arabs and the second Byzantine Period lasted from 961AD to 1204 AD. During this period, Byzantium nobles, European merchants and Christians from eastern countries settled in Crete and attempts were made to destroy all traces of the Arabs. Crete was then sold to the Venetians who occupied it for the next 450 years. Turkish attempt to conquer the island started with a pirate raid against the coastal towns in 1645. Turks captured Crete in 1669. The entire Cretan population deserted the city and settled on the neighbouring islands and in Venice. Crete was ceded to the Egyptians in 1821 from whom the Turks took over again in 1840. 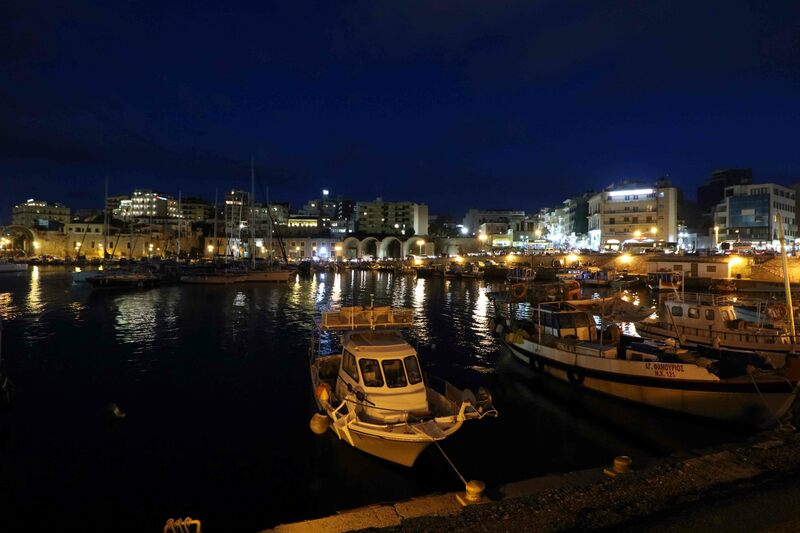 Crete was not part of Greece when Greece state was formed in 1832 as it was under Egyptian control. Crete became independent in 1898 after the ‘Great Cretan Revolt’. Crete was united with Greece in 1913. 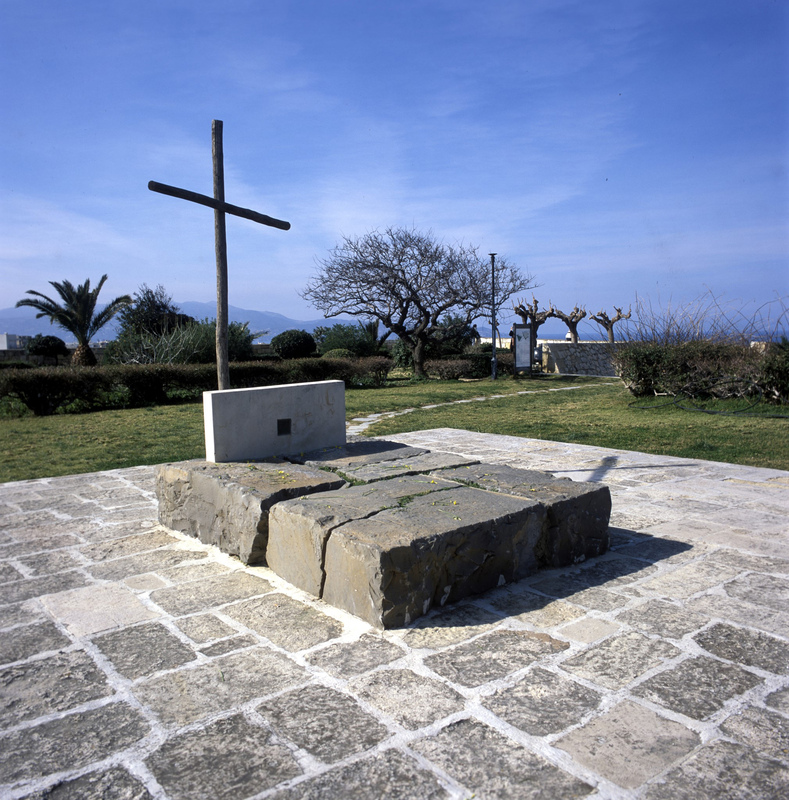 With the outbreak of World War II, Germans occupied Crete in 1941 The Battle of Crete was the first airborne invasion using paratroopers in military history. Commonwealth forces, mainly British and New Zealanders, supported by the local resistance, fought hard for a week before being forced to evacuate the island. Germans used it as a naval base to control the sea lanes in the Mediterranean Sea. It also served as a supply base in maintaining supplies to Rommel’s Afrikan Korps fighting in North Africa, until vacated by the Germans in July 1945. 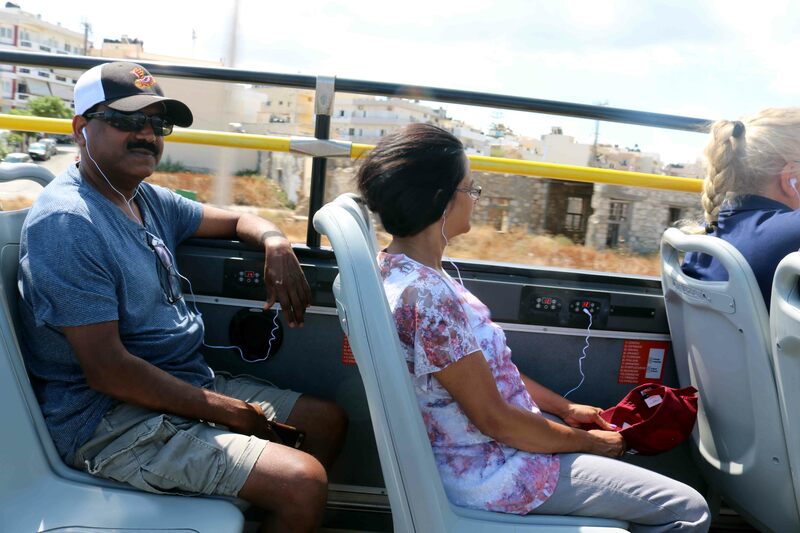 On June 16, we decided to familiarise with the city of Heraklion and the best method was to get on the ‘Hop on-Hop off’ open double-decker bus. Onboard audio commentary available in English, Greek, German, Italian, French, Spanish, Russian, and Turkish, gave out information about various sites enroute. We boarded the bus at this seaside Venetian fortress situated at the entrance of the old harbour, built by the Venetians to protect the port between 1523 to 1540. This two-floored fortress was built with big blocks of stone. The ground floor used to house captains of ships and also to store food and ammunition. The upper floor had canon emplacements. The upper parts of the castle are Turkish additions. 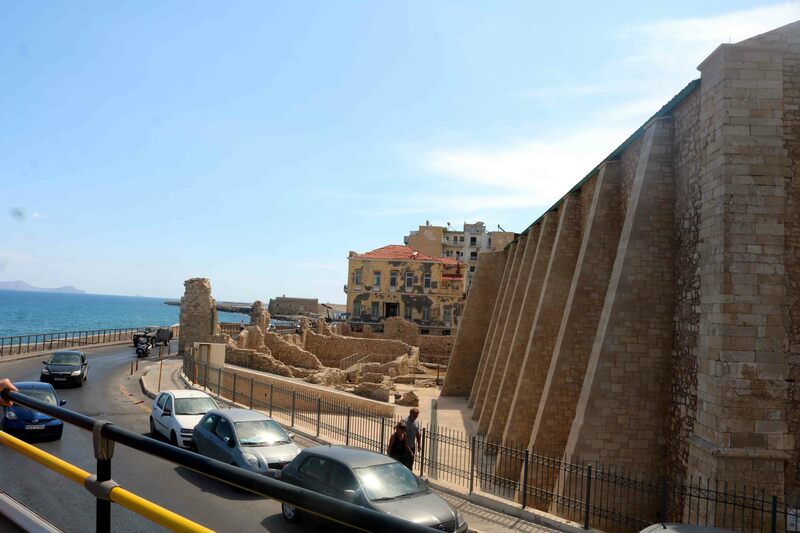 Driving along the coast road, we came to the ruins of the Dominican Church of Peter and Paul. It was built in the 13th century, during the Venetian period. This ruins are of the second church, built on the site of the original building after it was destroyed by an earthquake in 1508. During the period of Turkish rule, this church was converted into a mosque. 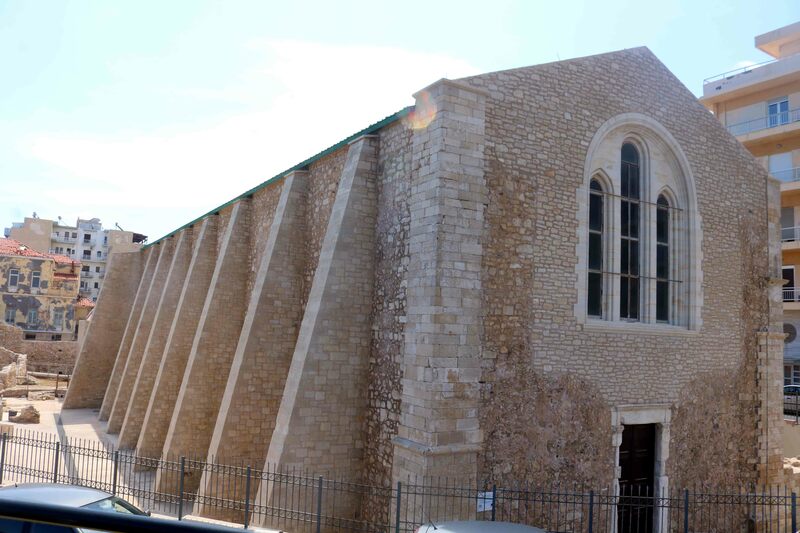 It is currently being restored by the Archaeological Service. 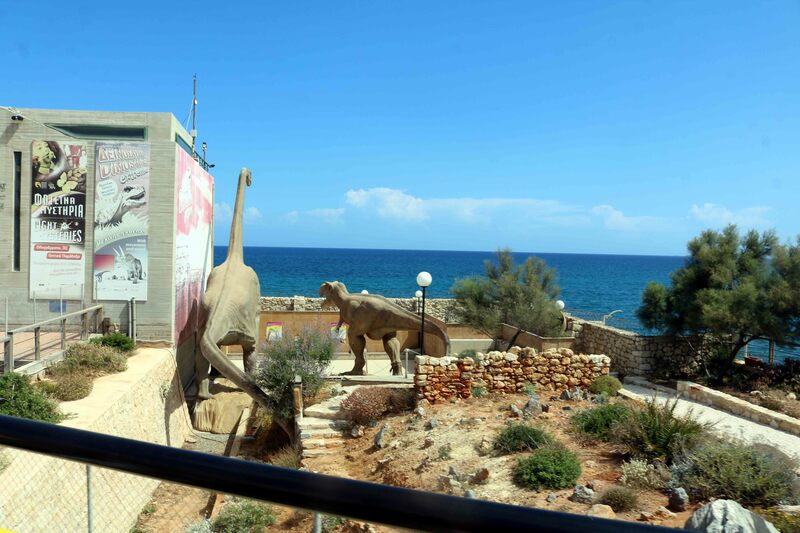 Opposite the church is the Natural History Museum, functioning under the University of Crete. It is aimed to study, protect and promote diverse flora and fauna of the Eastern Mediterranean region. The museum is based in a restored industrial building that housed an electric power plant. 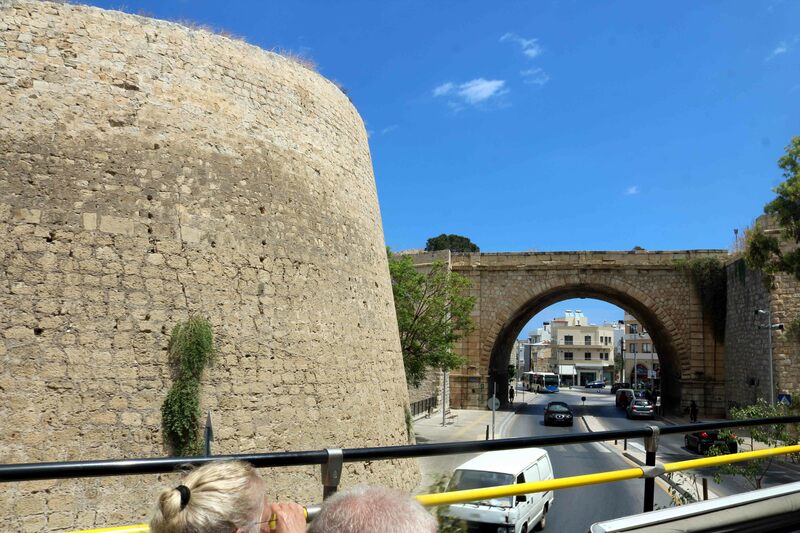 The bus drove along the Venetian Walls fortifying the city of Heraklion. It is a series of defensive walls which surround the city with a perimeter of roughly 5 km, supplemented with a ditch without water and bastions. The first city walls were built in the Middle Ages, but they were completely rebuilt by the Venetians. The fortifications managed to withstand the longest siege in history for 21 years, before the city fell to the Ottomans in 1669. The walls remain largely intact to this day, and they are considered to be among the best preserved Venetian fortifications in Europe. The gate of St. George at the East of the city was demolished in 1917. The gate Jesus is at the South, the gate of Pantocrator (known and as gate of Chanias) was at the West. St George gate on the wall connected the then Venetian town of Chandaka to Eastern Crete. This gate was built in 1565. Its name comes from a relief decorative representation of St George, which is today exhibited in the historical museum of the city. 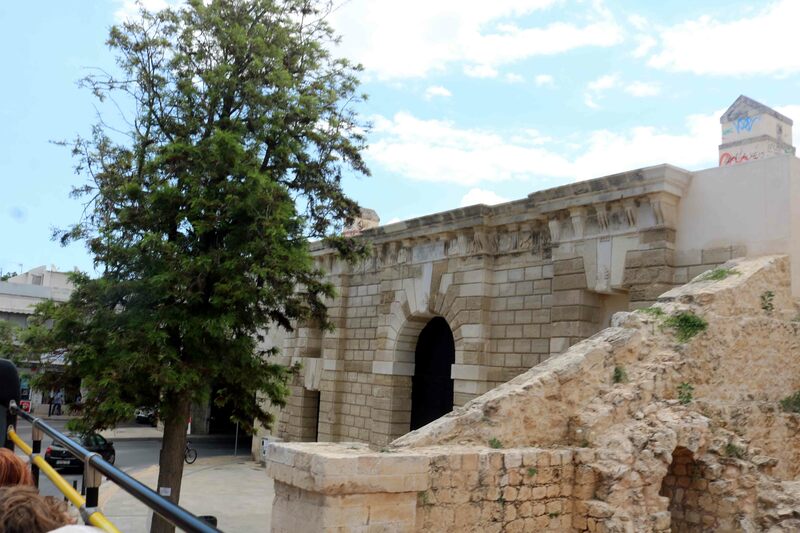 Gate of Jesus or New Gate (Kenourgia Porta) was built on the South side of the Venetian Walls in 1587. The gate also hosted the pipeline which supplied water to the city. 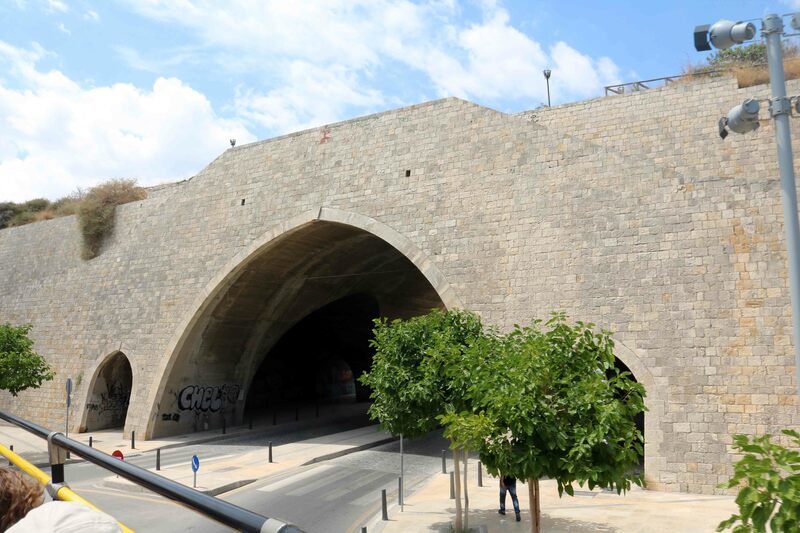 An arched passage across the wall was constructed in the 1970s for cars. On either side of the central doorway there are some openings corresponding to stairs, windows and secondary entrances to adjacent locations, and to rooms above and inside. The rooms were used for storing weapons and for accommodating the guards of the gate. We hopped on to the next bus and got off to visit the Palace of Knossos built around 1900 BC.